There’s nothing quite like getting a group of outspoken and like-minded folks together, adding a heavy dose of new ideas and fun times, and stirring them together at an awesome place to see what comes out. 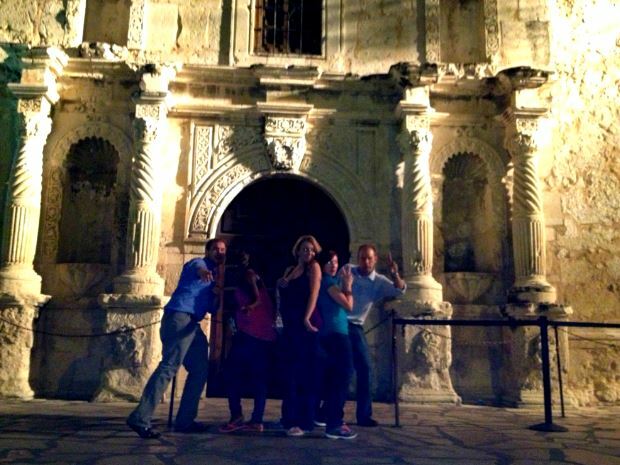 I recently had the pleasure of meeting up with a handful of my peers in San Antonio for an annual get together: The Region Leasing Manager Workshop. This is a gathering where we have the opportunity to discuss our successes and areas for improvement, collaborate about upcoming initiatives, reflect on the outcome of our newest ones, and to connect as a team. I love that Venterra has found value in putting resources towards getting minds together regularly like this to help keep things running smoothly and consistently from region to region and from community to community. This is effective not just because of the sheer number of gears turning at all at once (and there were plenty!) but because of the people behind those gears. We’ve got a solid Regional Leasing Manager team who, despite some differences of opinion with some specifics, are overwhelmingly on the same page for our end goals. It’s a team open-minded and respectful enough that ideas can flow freely in a laid back atmosphere. This is clearly the real key to a smooth operation – great people. In looking at some of the new faces joining us this year, I thought back to my first trip and realized how much I’ve grown since then and how critical this group has been on the journey. I’m thankful that with their help and the help of dozens like them at Venterra, I’ve had the opportunity to stick around again for another amazing workshop where we could all begin to contribute to future achievements, as well as appreciate those of the past – and have an amazing time doing it!